The Department of Housing and Community Development (DHCD) has recently seen a surge in the number of communities that seek to certify compliance with their Housing Production Plans. A Housing Production Plan describes a town’s strategy to develop affordable housing at a measured pace in order to make progress towards their affordable housing goals under Chapter 40B. An increase in the number of housing starts has allowed communities to actually achieve the goals set forth in their Housing Production Plans through the development of affordable housing units that count towards their subsidized housing inventory. Generally, under Chapter 40B, if a community makes recent progress towards its subsidized housing goals or meets housing development goals described in a certified Housing Production Plan, the community can defer or deny Chapter 40B comprehensive permit projects for the duration of the certification – usually a one-year safe-harbor period. This is the case even if the community has not met its ultimate goal under Chapter 40B of ten percent affordable housing. With more communities seeing and approving more comprehensive permit developments, the DHCD has recently certified several communities’ Housing Production Plans. Communities that are facing multiple Chapter 40B applications are rushing to certify compliance in order to gain control over proposals that are in the pipeline. If a community has achieved certification, any application received during the certification period is subject to denial by their zoning board with impunity. The critical detail is the date that the comprehensive permit application is received by the zoning board, which can create a “rush to the alter” for both towns and developers. Any developer or property owner contemplating a comprehensive permit project under Chapter 40B should be mindful of other projects pending in town to ensure that their application is not received during any safe-harbor period. While towns are still free to grant comprehensive permits for applications received during any certification period, an applicant cannot challenge permit conditions or any denial as “inconsistent with local needs” if their permit application was received during any relevant safe-harbor. In order to avoid an expensive mistake, developers and property owners considering a comprehensive permit project should monitor the DHCD’s subsidized housing inventory and pending project eligibility letters to ensure that their application is not subject to immediate denial or unacceptable conditions. 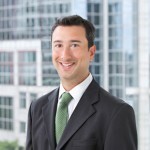 Christopher Agostino is an attorney in RIW’s Corporate & Business and Commercial Real Estate Practice Groups. He can be reached at cra@riw.com. Feel free to contact Christopher Agostino if you have specific questions regarding any safe-harbor analysis under Chapter 40B.